The best the state has to offer will be at Willowbrook Park on Monday for the CIAC State Open Championships. MileSplit CT will be on site, taking care of all the action. The meet begins at 1:30 p.m.
What are some of the top events to keep an eye on at the State Open? In the girls' 1,600- and 3,200-meter runs, Coginchaug's Jessica Drop and Staples' Hannah DeBalsi will duke it out on the oval. Drop comes in as the No. 1 seed in both races. The All-American senior won the Class S Championships with a season best of 4:52 for the shorter event and a 10:33.44 for the 3K. DeBalsi captured Class LL titles by running 4:59.5 for 1,600m and 10:33.44 for 3,200m. But earlier in the season in the latter event, the Stanford commit clocked a fast 10:15.36 at the Arcadia Invitational.You can't count out Wilbur Cross senior Danae Rivers in the 1,600m. She's a No. 3 seed event, but also the returning champion. She will not defend her crown in the 800m, an event she also won last year and finished third at the New Balance Nationals. Instead, Rivers will try and steal the show in the 400m, where she is ranked No.2 behind Windsor's Sashana Hinds (55.45) with a best of 57.0. Gabby Curtis is hoping to make it back-to-back titles in the 100m hurdles where she is one of five runners that have broken 15 seconds. She owns the top seed with a time of 14.23. The boys' 200m could come down to the final few meters. Four of the sprinters in the field have gone under 22 seconds, including Wethersfield's Elijah Young, Weaver's Mark Doyley and Windsor teammates Tyler Coyle and Kyshawn Bonner. A few days ago at the Class LL Championship, red-hot Eric van der Els of Brien McMahon held off Randy Neish of Glastonbury in the 1,600m with by running 4:12.58 to Neish's runner-up time of 4:12.73. The gifted duo will be back on the track again at the State Open in a rematch of their classic duel. 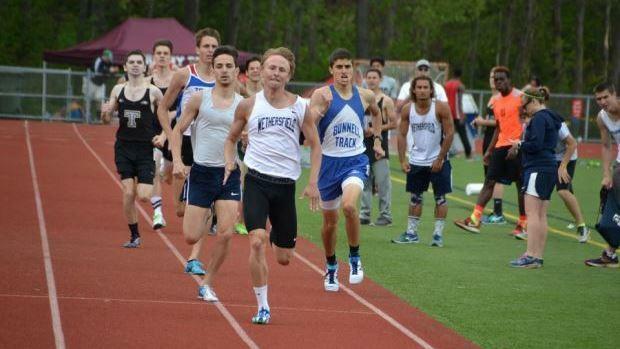 This meet will not be the last time that some of the top CT athletes compete on their home soil. Just five days later on June 12, teams throughout the region will head down to Willowbrook for the New England Championships.